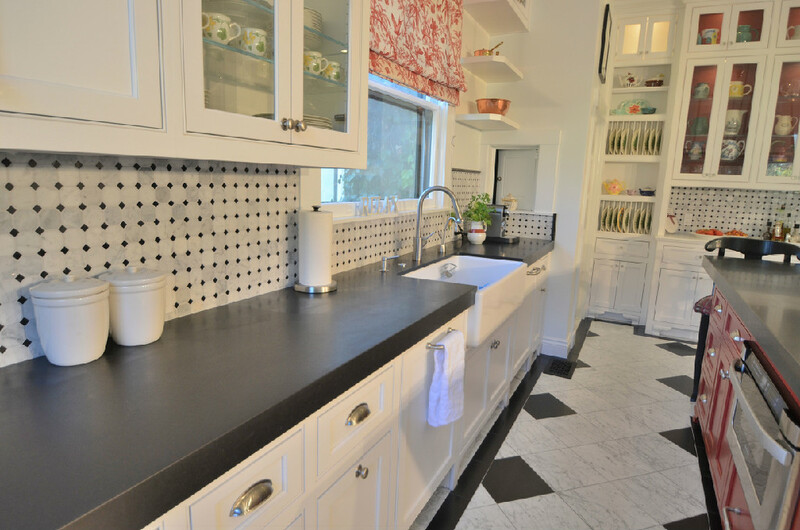 Bathroom Remodeling, Kitchen Remodeling and more…. There has never been a better time to remodel your home or condo in Marin County than right now! The economy is starting to turn around and as a consequence, material prices will follow. With material prices at the lows they are right now you can take tremendous advantage if you have the resources. Remodeling your home in Marin County is just a step away! You have just found your ONE STOP SHOP for all your remodeling needs here in Marin County and the surrounding areas. If you have been thinking about or are ready to remodel any part of your home, now is the time to put your ideas into action. Have you been thinking about remodeling your bathroom? A nice bathroom remodel can really change the look of your bathroom. Maybe you have an older home with shadow box lighting, an older toilet that doesn’t utilize the latest “Flush technology”, or a shower that just doesn’t meet your needs. How about adding a tankless water heater, they are a wonderful investment. Just think, hot water on demand. If you are getting ready to move into your home or have lived there for awhile, chances are when you walked into the bathroom for the first time you had a few ideas of what you would like to improve. As one of the rooms used in your home everyday, it’s time to take the opportunity to remodel your bathroom and turn your bathroom into a space that helps the world stand still when you are enjoying it. In addition to getting something that you want it is also a pretty decent investment. Depending on the work done and materials used the return can be quite handsome. The value of the home increases whenever you remodel the kitchen or bathroom, whether you sell the home or not. Make sure to use a licensed contractor in good standing with the state board anytime you have repairs done to the structure of your home. This is important to get the full value of your remodel. 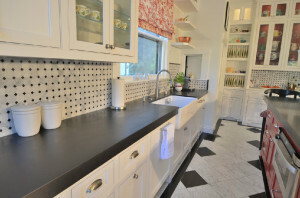 Are you remodeling your kitchen in Marin County? How about adding new lighting or in your kitchen? Now is the time to take advantage of all the tax benefits of making your kitchen more efficient. Not only will you enjoy the new appliances and lighting but you will be doing your part to go green. We live in Marin County, we like to be at the forefront when it comes to making our environment a better place to live.There are many different possibilities, and it is always nice to have the light where you need it. Have you been thinking about removing the wall between your kitchen and dining room to open up the area? New, matching, energy efficient appliances really add pop to your new kitchen. Have you been dreaming of new cabinets, and more of them? There are also some exciting choices for a countertop now days, let’s explore the opportunities. How about a nice kitchen island with a sink, grill, etc… It is up to you and your imagination. Let us help you explore the possibilities. Do you have a room or two that could use a little freshening up? Maybe some new color for a change of pace. Has it been awhile since the exterior of your home been painted? Are there spots that have started to peel, places where mold is starting to grow. Maybe you have noticed some dry rot starting to develop in certain areas. We can handle all your special needs for painting, dry rot and more. We are clean and efficient, give us a call today or fill out the contact form and find out how little it costs to make a big change for your home. Would you like to know your house is going to stay attached to your foundation in the event of an earthquake? Living in Marin County, every day is a guess on when the next big one comes. There are a lot of homes that were built before the newer, more stringent building codes. Let us walk you through a step by step process to help you understand how to strengthen your home. There are some very simple seismic upgrades you can do to your home without hiring an engineer. Having a home in Marin County means you are very aware of earthquakes and what they can do. Do you have unused space that could be optimized? Many homes in Marin County have an attic or a basement that could be remodeled and put to good use. When you think about remodeling your home, think about maximizing the unused space in your home, especially what is already under roof. Sometimes the best thing is what you already have, you just need to learn to use it better. The Handyman Can of Marin understands how important it is to keep your independence, for you, your parents or grandparents. We can come out and review your situation and offer solutions that will help you feel more comfortable. Grab bars can be used in other areas of the home besides the bathroom and are inexpensive to install. Wheel chair ramps are not just for wheel chairs, they also make it easier if a walker is used. Sometimes a door needs to be widened for wheel chair use, and making the flooring compatible with a walker or wheelchair can be very important for safety. We can completely remodel your bathroom to accommodate your special needs, complete with seats for your shower, lower and special shower heads, and tile all around, you have found the place to call. We can also address any lighting concerns for greater security and comfort Call today and find out how we can make your life easier! Do I need a permit to remodel my bathroom or kitchen in Marin County? So you are thinking about remodeling your bathroom and wondering what you can do yourself, and when you might need a remodeling contractor. One of the very first questions I am asked when I go on an estimate is “Do I need a permit to remodel my bathroom or kitchen?” The word remodel is a verb which means “to alter the structure.” There are a number of things you can do to upgrade your bathroom or kitchen where you don’t need a permit, but if you plan on a remodel the simple answer is yes. Things you can do without a permit in a kitchen Paint or install wall paper Install new faucet Install new disposal Install new dishwasher Install new flooring Change light fixture Change backsplash Things you can do without a permit in the bathroom Paint or install wall paper Install flooring Install new faucet Install new toilet Install new vanity Install new shower doors Change light fixture Replace bathroom fan Install new towel bars and hooks There are several things you can do without a permit, but anything substantial requires a permit. A permit is not asking for permission, it is meant to provide the current and future owners of the home protection from shoddy workmanship. Small business owners As a small business owner, your ambition and drive to achieve greatness deserves to be admired. There are more than 24 million small businesses in this country, creating 80 percent of new jobs, according to the Small Business Administration. We understand that as a small business owner you face a number of tough issues to deal with daily. At The Handyman Can of Marin, we are sensitive to the special needs from our business community. Work schedule to fit your needs The Handyman Can of Marin County will work around your schedule. If you need work done after hours we will accommodate what you need to provide the least inconvenience possible. Time sensitive work Emergencies, code compliance or work that needs to be completed before escrow closes, The Handyman Can of Marin has you covered. On time, done right always. Custom built ins Sometimes it is hard to find what you need for your business pre-built. One call to The Handyman Can of Marin County will start the wheels in motion to create exactly what you need to make your business and products more attractive for your customers. Tenant improvements After securing your business site, you might find you need to add lighting or a sink, maybe move or add a wall or dropped ceiling. Maybe you would like to add a kitchen or a walk in freezer, one call to The Handyman Can is all you need. General building repairs and maintenance Owning a small business can be stressful enough. You want to build your business and not have to worry about things that aren’t making you money. We will coordinate with you and the building owner so you can concentrate on the things that are important to you. The building owners will also be happy to know that you are dealing with a licensed contractor for the repairs, someone who can stand behind their work and reputation.